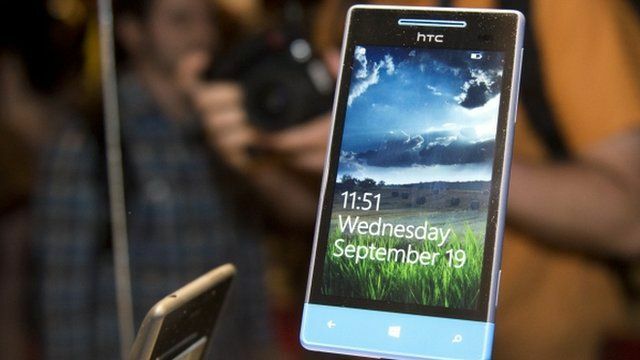 Taiwanese mobile phone maker HTC has launched two new phones that run on Microsoft's Windows Phone 8 operating system. HTC's chief executive Peter Chou told the BBC's Ben Thompson in New York that he was "super confident" of the new phones. He said they were "hero products" and that HTC and Microsoft were launching an integrated marketing drive. Yet at the same time, he added that HTC would also continue to make Android handsets.